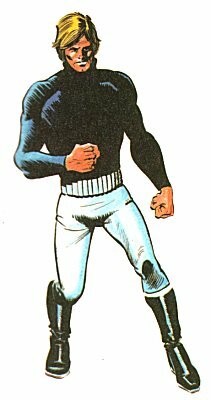 History: (The Esper Commandos, Pow Annual 1972). It is 1975, a few years in the future, and Professor Owen Pennybrave, Britain's top nuclear physicist is kidnapped by agents of a foreign power. 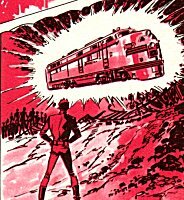 A special group of agents, the Esper Commandos, are sent to rescue him. While they look unconventional, each one is "a mental freak" with an unique power. 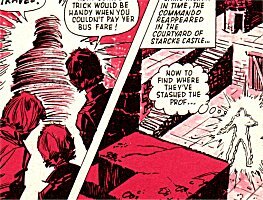 They parachute into Zornya and make their way to Castle Starcke, where intelligence says the Professor is being held. 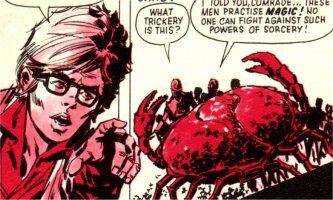 Skillfully using their special powers they make short work of the castle's defenders and retrieve the scientist. Crag - telekinetic, strong enough to lift a locomotive, delicate enough to pick pockets, and able to bend gun barrels. Goggles - illusionist, can affect both humans and animals. Goggles is only 13 years old. Crag is the unofficial team leader. 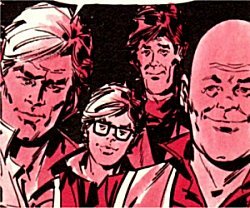 Thanks to Chris Adams, who informed me of the existence of these characters and gave me my initial information about them.